Apple decided that it would be better to come up to names. 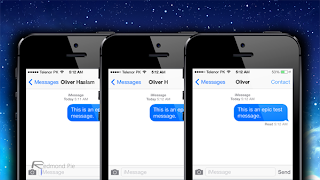 For example the name in the conversation you receive with plain text or an iMessage senders full name is not manifested , their shorten name is displayed only. There’s an option inside the iOS Settings app that will either return iOS’s name conventions back to their former glories, for those who want to send messages to more than three people. Also this application allows you even to tell iOS to use nick names . For example it’s great when you receive message from your husband or wife and his/her name is shorten. Of course if you want you can turn off all this short name foolishness with one simple assist of a switch. The choice is up to you. 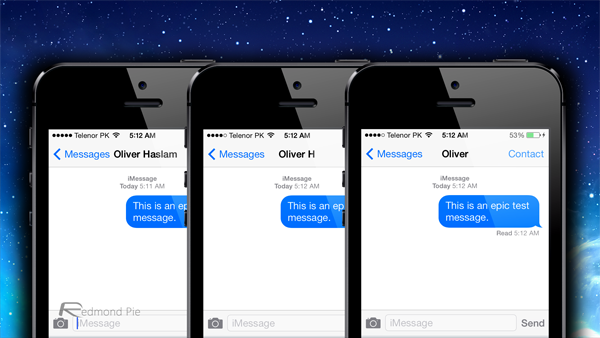 iOS 7 has plenty of changes, but shorten names is one of the main changes we are alerting you.